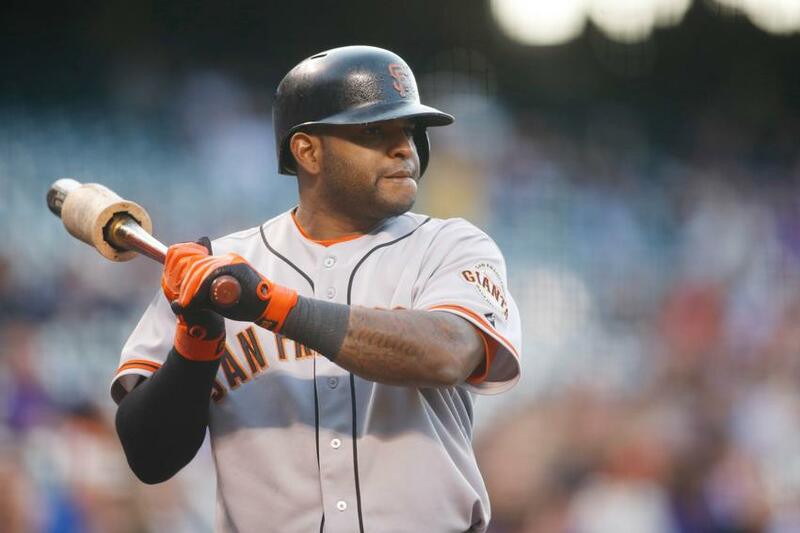 San Francisco Giants: Is Pablo Sandoval Pressing? Pablo Sandoval has had a lot on his mind recently. At the conclusion of the 2013 season, the San Francisco Giants told Sandoval that he had to lose weight and keep it off if he wanted to get consistent playing time in 2014 and possibly get a contract extension. Sandoval took this seriously and lost at least 30 pounds in the offseason. In addition to his weight loss program, Sandoval had to deal with the weight of a potential contract extension hanging over his head. The Giants and Sandoval weren’t able to come to an agreement on an extension before Opening Day. Sandoval turned down a three-year, $40 million offer, and the conversation between the Giants and Sandoval about a possible extension has stalled. So far this season, with all this extra “weight” hanging over him, Sandoval is hitting .165 with a .258 OBP, .278 slugging percentage, two home runs, six RBI, and 18 strikeouts in 21 games and 79 at-bats. For a career .294 hitter, these numbers are extremely baffling and disappointing, especially given his weight loss in the offseason. So what can his poor offensive numbers be attributed to? Is he pressing? Is he hiding an injury? Is he lacking confidence? Are the contract negotiations weighing too heavily on him? When discussing his recent struggles with Steve Corkran of the Bay Area News Group, Sandoval insisted that none of these things have affected his performance at the plate this season. Bruce Bochy has employed several different strategies in order to break Sandoval out of this uncharacteristically long slump. After hitting .171 on the season and going hitless against the San Diego Padres on April 19, Bochy told Alex Pavlovic of the Bay Area News Group that he was going to give Sandoval a day off on the 20th. The day off didn’t seem to help Sandoval that much though. 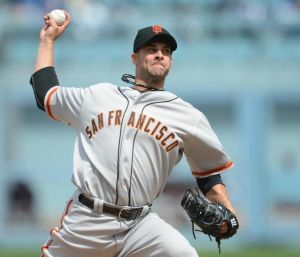 On the first day of a three-game series against the Colorado Rockies on the 21st, the day after his day off, he struck out once and went hitless in four at-bats. On the 22nd, also against the Rockies, he had one hit (a double) and one walk in three at-bats. On the 23rd, he had no hits, a walk, and one strikeout, in two at-bats. Bochy also tried dropping him in the lineup. 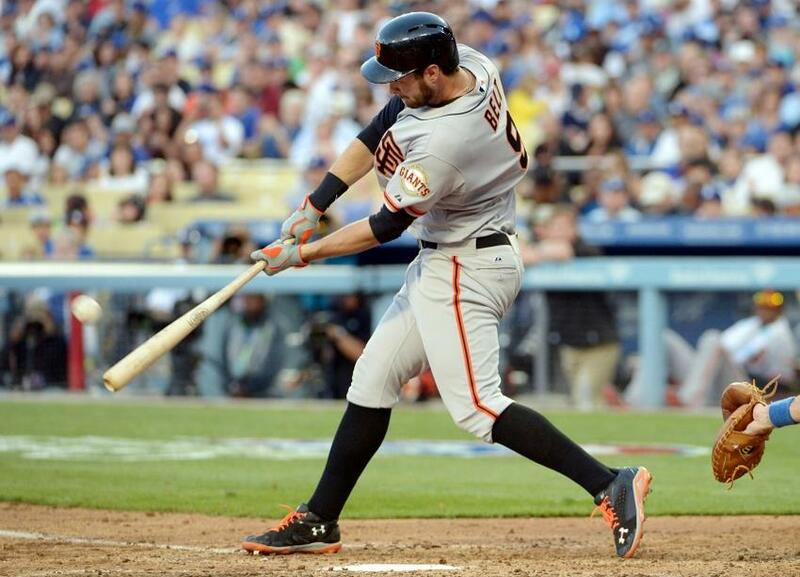 Bochy only dropped him from the third spot to the fourth spot, so it wasn’t a drastic change. However, Bochy was hoping this type of change would ease some pressure off of Sandoval. This didn’t help either. 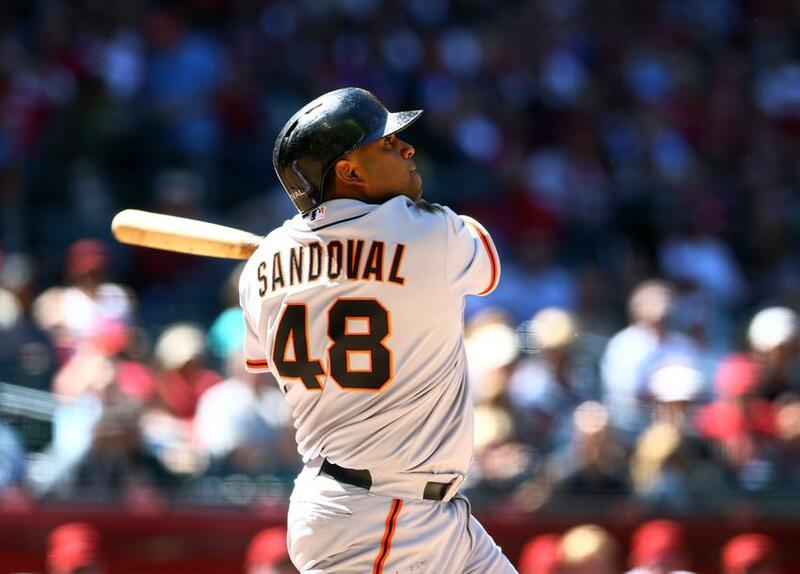 Whether Sandoval is pressing at the plate or not, Bochy might have to find some new ways to get the Panda going. One option is dropping him further down in the lineup, maybe down to sixth. For example, Bochy could have a batting order like this: Angel Pagan, Brandon Belt, Buster Posey, Hunter Pence, Michael Morse, Sandoval, Brandon Crawford, Brandon Hicks, and the pitcher. It’s impossible to predict if this would reignite Sandoval offensively, but this sort of a “wake-up call” could perhaps give Sandoval a fresh start. Another option is to give him two or even three days off in a row, which would give him a mental break and would allow him to re-focus. 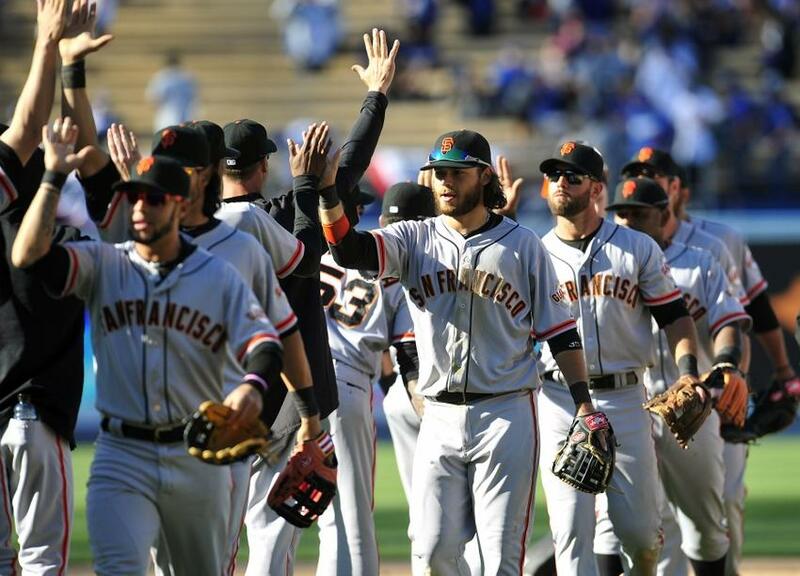 Bochy has used this strategy in the past with struggling players, and it usually works. One last option is for Bochy to keep playing Sandoval as he normally would and hope that he will find a way out of it soon by himself. Bochy is a players’ manager. He believes in his players, and he won’t criticize them or punish them for poor play. The clubhouse has been very loose, despite the struggles of the offense recently (besides yesterday’s win in Colorado). It doesn’t look like any of the Giants, including Sandoval, are pressing, and that’s why Bochy has been patient with them. 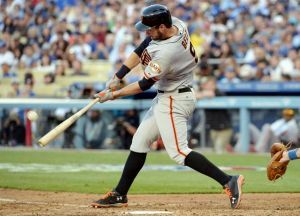 There are many benefits to a team with great team chemistry like the Giants, but one of the drawbacks is that if one person starts to struggle, others start to struggle too. This might be Sandoval’s problem. Other Giants such as Gregor Blanco and Posey are in their own slumps right now, so Sandoval might be unintentionally feeding off of that. There isn’t a clear answer to how Sandoval can break out of this slump, but Bochy has a few options on how to try to wake up Sandoval offensively. Hopefully for the Giant, one of these options will work. It’s official. The Golden State Warriors, the sixth seed in the Western Conference, and the Los Angeles Clippers, the third seed, will face each other in the first round of the NBA Playoffs. To start out the preview of this matchup, let’s just say that the Warriors and the Clippers do not like each other, on and off the court. It seems like almost every time they play each other, there’s some type of scuffle and usually several technical fouls given out. In addition, much of this tension has carried over to their relationships off the court. Most teams attend chapel with their opponent before each game, but the Warriors and Clippers refuse to attend chapel together. Although their dislike for each other started just a couple seasons ago, there is certainly a rivalry between these two teams. This is why this first round matchup will be so entertaining. It’s almost like it was meant to be. Both these teams have risen from pretenders to contenders in the past few seasons, and they both believe that they’re better than the other team. 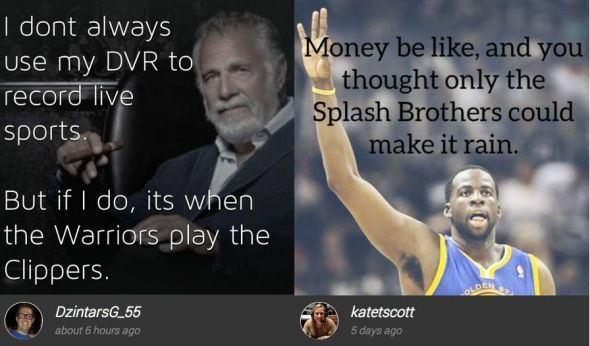 They also both play exciting brands of basketball, and whenever they play each other, the games are incredibly competitive, physical, and entertaining. 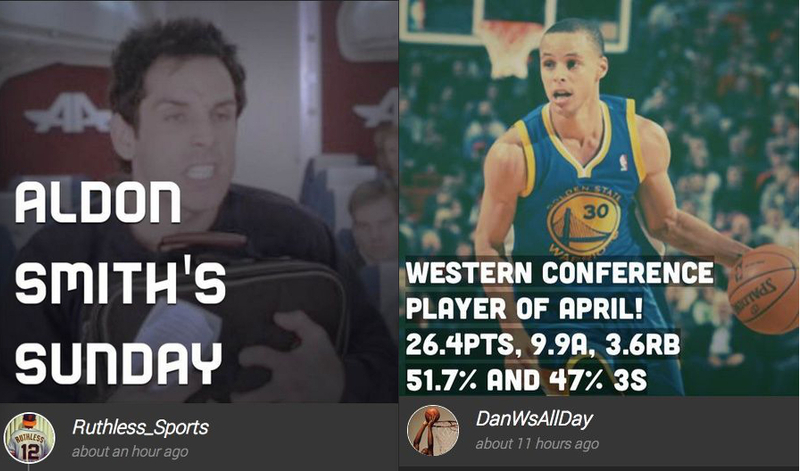 The Warriors and the Clippers faced each other four times during the regular season. 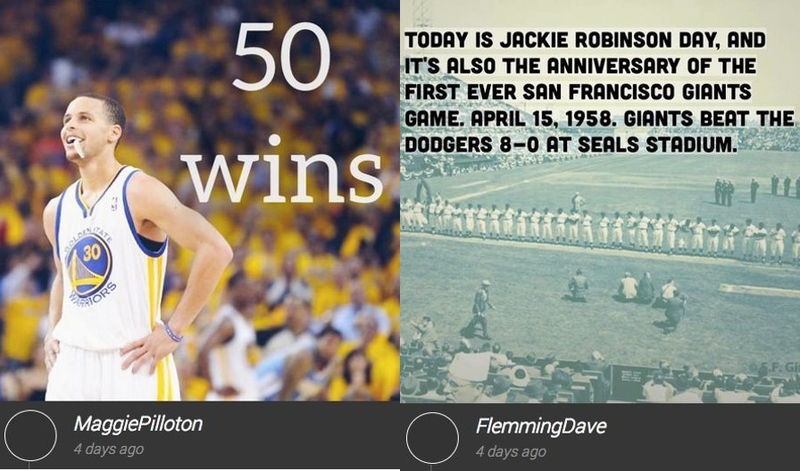 Their first two contests were fairly close, and the next two contests were blowouts. They split the games 2-2. Let’s take a look at some of the factors that could decide which team wins this playoff series. One of the key factors to this series is that the Warriors will be without Andrew Bogut, who is out indefinitely with a fractured rib. The Warriors will struggle without Bogut for several reasons. 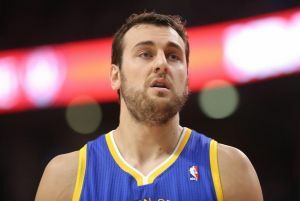 First of all, Bogut is the Warriors’ defensive anchor and rim protector. He doesn’t just block shots, he changes shots, changes how offenses attack the rim, and he defends the weak side extremely well. He also sets great screens on offense. These simple explanations don’t fully explain how important he is to the Warriors, offensively and defensively, as a whole. 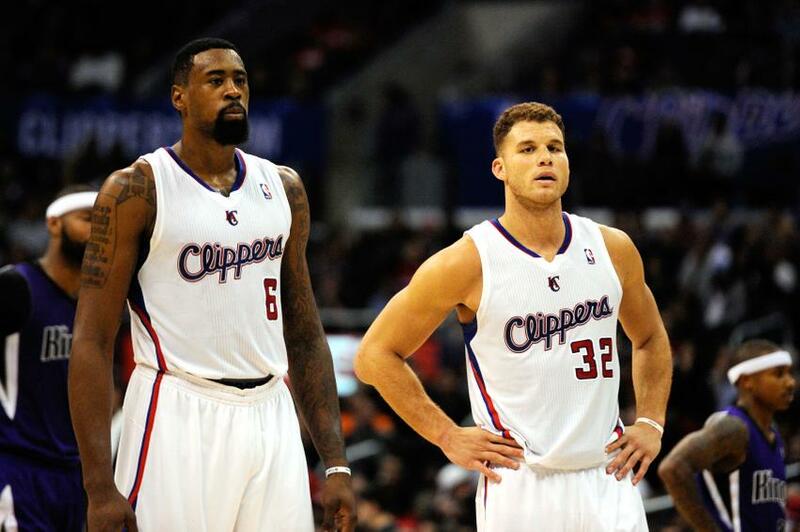 Second, without Bogut, the Warriors will have trouble containing the Clippers’ size. Blake Griffin is a beast and is having an MVP-type of year. DeAndre Jordan isn’t a huge offensive threat, but his athleticism can really hurt the Warriors’ frontcourt. It will be difficult for the Warriors to win the frontcourt matchup with the Clippers, but they could win the backcourt matchup. Stephen Curry and Klay Thompson make up one of the best backcourts in the NBA. The Clippers will most likely send multiple defenders at Curry to try to force him into turnovers and bad shots. 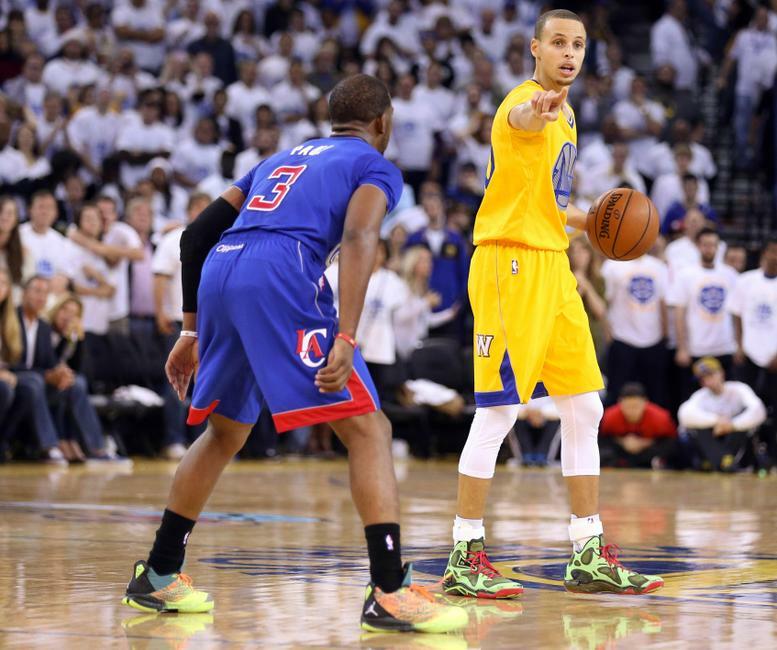 Chris Paul defends Curry well and forces him to turn the ball over a lot, so this could be a tough matchup for Curry. They have played against each other so much during the NBA season and they work out together in the offseason, but these two often bring out the best in each other. Curry has been playing at a whole other superstar level recently though, and it seems like no one will be able to stop him. In terms of defense, the Warriors’ perimeter defense is one of their strengths. Andre Iguodala, Thompson, and even Curry at times, to a lesser extent though, are all great defenders and can lock down or contain whoever they’re guarding. The Warriors could have difficulty with defense in the frontcourt though. Even if they decide to start Draymond Green at power forward, to guard Griffin, or Jermaine O’Neal at center, to guard Jordan, they will still face some trouble defensively, given the Clippers’ size and athleticism. In order to limit the Clippers’ frontcourt offensively, the Warriors might want to employ the hack-a-Jordan philosophy. Jordan is shooting 42.8 percent on free throws, and the Clippers, as a team, shoot 73 percent on free throws, which is 26th in the NBA. Griffin has improved as a free throw shooter, but in the right situation, the Warriors might want to foul him too. They need to be careful though, because Griffin does a lot of “flopping,” and the Warriors, especially Green, can’t afford to get into foul trouble. 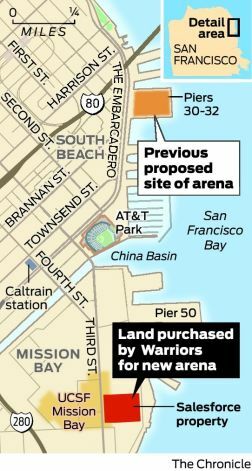 The Warriors also need to be active on the boards. The Clippers give up 43.7 rebounds per game, which is 25th in the NBA, so the Warriors need to take advantage of that. On offense though, the Warriors could benefit greatly from going small and playing Green at power forward and Lee at center. Warriors fans are well aware of Lee’s defensive deficiencies, but offensively, he could succeed in a smaller lineup. As a center, Lee thrives because he’s able to utilize his quickness against slower, bigger centers. Also, as a center, he doesn’t have to fight for space in the paint, which he often has to do with whoever is playing center for the Warriors. Lee needs space to work in the paint and in post-ups in order to be effective. This is why he plays so well alongside Curry and Thompson. The Splash Brothers space the floor, and the Lee is able to work inside the paint and around the rim. The Warriors will certainly face some tough matchups in the starting lineup, but the Clippers might also have an edge in terms of their bench and coaching. The Clippers have Jamal Crawford, Darren Collison, Danny Granger, Matt Barnes, Glen Davis, Hedo Turkoglu, and others all coming off the bench. That is an extremely deep bench with lots of different players who could hurt the Warriors. The Warriors have had a fairly inconsistent bench this season. Steve Blake, Jordan Crawford, Harrison Barnes, and Marreesse Speights will be called upon for significant contributions off the bench, and they will have to step up big if the Warriors want to pull off the upset. 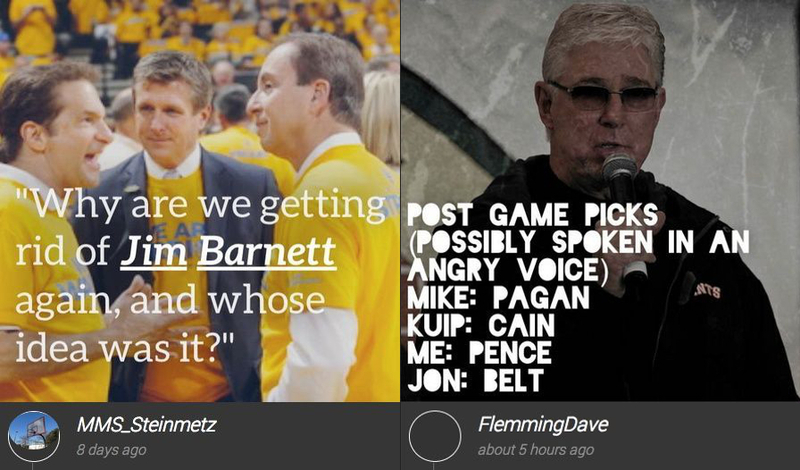 In terms of coaching, the Clippers might win the coaching category too. Although Mark Jackson led the Warriors to the Western Conference semifinals, Doc Rivers has won a championship. He has more experience, and he’s a defensive mastermind. Jackson knows how to motivate his team and could out-coach Rivers in that sense, but it’s yet another challenge the Warriors will have to face. With all this being said, the Warriors have more heart than possibly any team in the NBA. They will not give up, they will give their best, and they will put up a fight. They won’t go down easy, so don’t expect this series to be over quickly. 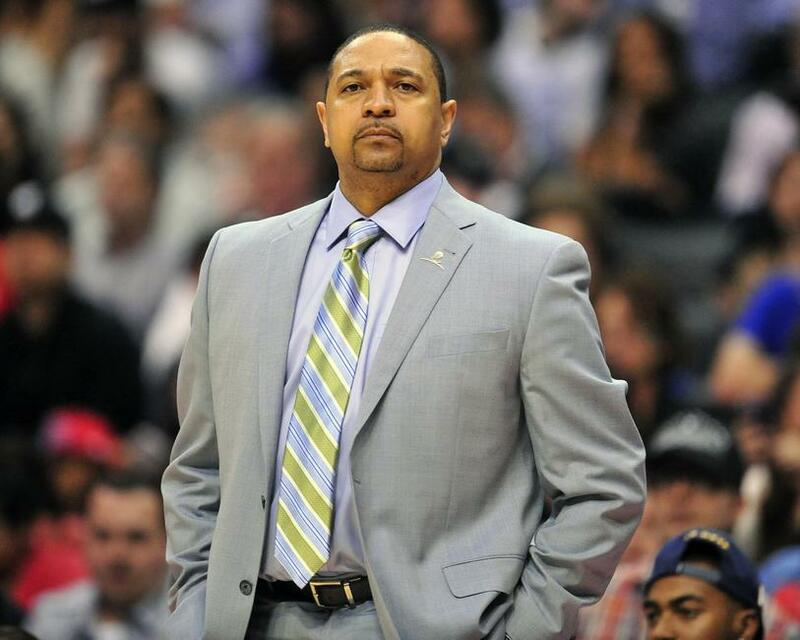 Golden State Warriors: Is Mark Jackson In Trouble? In the past couple weeks, much of the discussion about the Golden State Warriors has been about Mark Jackson. Many Warriors fans want Jackson to be fired, because they believe the Warriors haven’t lived up to expectations. They have classified the 2013-14 season as disappointing, despite the Warriors’ 46-29 record. On the court, his allocation of minutes, his play-calling, his rotations, and his decision-making have all been criticized this season, some of it warranted and some of it not. Off the court though, Coach Jackson is one of the best motivators in the NBA, and often, motivating players can be the hardest task of all for a coach. Coach Jackson isn’t a Gregg Popovich type of coach. Popovich is a master of both play-calling and motivating his players. However, Coach Jackson is still learning and developing as a coach. This is his third year of coaching in the NBA, and even though he could improve in certain areas, he’s not by any means a bad coach. Tim Kawakami brings up a good point that Coach Jackson could use another top assistant coach, besides Pete Myers. Last season, Michael Malone, now the head coach of the Sacramento Kings, was Jackson’s top assistant, and many fans have discussed how much his absence this season has affected Jackson. Despite the rumors that Jackson and Malone would go for weeks at a time without speaking to each other, Malone was known as the X’s and O’s coach for the Warriors. He drew up the plays in timeouts and in close-game situations, and many people believe that’s a skill that Jackson lacks. Malone was also the “defensive coordinator” of the Warriors. However, in Malone’s absence, the Warriors rank fourth in the NBA in opponent field goal percentage at 43.6 this season after ranking fourth last year too. The Warriors haven’t seen a decline in their defense since Malone left, so Jackson has to be given credit for that. In addition to the drama associated with the Malone situation, Jackson had trouble with another assistant coach, Brian Scalabrine, this season. About a week or so ago, it was reported that Jackson forced a reassignment of Scalabrine to the Warriors’ D-League affiliate, the Santa Cruz Warriors. This isn’t huge news because Scalabrine was the fourth assistant coach, but it does further the drama about Jackson’s “strained” relationship with the front office. Jackson has one year left on his contract, and there hasn’t seemed to be any talks between Jackson and management about a contract extension. In fact, there have been other rumors that Jackson might leave the Warriors after this season to coach the New York Knicks. Of course, this is all speculative at this point. Also fueling the rumors of tension between Jackson and the front office, Joe Lacob hasn’t spoken out in support of Jackson since the Scalabrine reassignment. GM Bob Myers told KNBR was an internal decision to only have Mark Jackson address the “dysfunction” report so there’d be 1 voice, 1 message. Along with Myers, many of the Warriors players have openly supported Jackson. 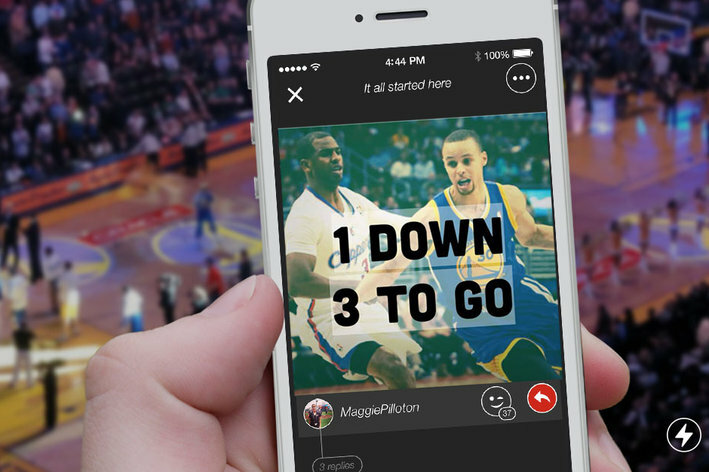 Stephen Curry has been the most vocal about it. He said he loves playing for Jackson and he supports him 100 percent. “We have one of the best locker rooms, in my opinion, in the whole league,” said Lee, the ninth-year pro who played his first five seasons with the Knicks. “I’ve been on teams that had awful chemistry and the coaching staff is constantly arguing with players and vice versa, and there has been none of that here. The word ‘dysfunction’ (which has been used in the media to describe the Warriors) is one that we’ve been laughing about, almost making a joke out of it, like are you serious? Jermaine O’Neal has also been vocal about the situation, and he told Diamond Leung of the Bay Area News Gourp that he might even consider coming back for a 19th year in the NBA just so he can play for Coach Jackson again. “It’s a couple reasons why I will come back,” O’Neal said Saturday. “This fan base, this organization is first class, and obviously my teammates are great, as well. 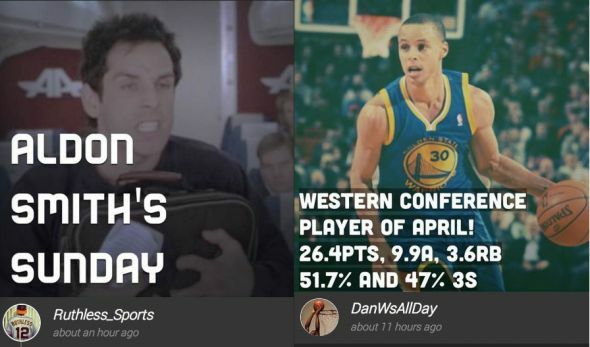 Fans set high, yet somewhat unfair expectations for the Warriors this season. The Warriors are currently 17 games above .500, which is nothing to complain about. Fans expected the Warriors to contend for a championship this season, but they seem to forget that it takes a few years for young teams, like the Oklahoma City Thunder for example, to grow and develop into title contenders. These unfair expectations have unfortunately fallen on the shoulders of Jackson. Jackson isn’t the best coach in the NBA. However, for both the Warriors and Jackson, becoming an elite team or an elite coach is a long process. Jackson can improve on some of his rotations and play-calling, but he is a significant reason why the Warriors have the impressive record that they have. Jackson has been the perfect coach to get the Warriors out of the dirty doldrums of dysfunction, but is he the right coach to get the Warriors a championship? Only time will tell. As of now, Jackson shouldn’t be fired, especially since the Warriors’ best player, and face of the franchise, is a diehard supporter.